Danielle Rosellison is co-founder of Trail Blazin’ Productions, a licensed cannabis producer in Bellingham, Washington. 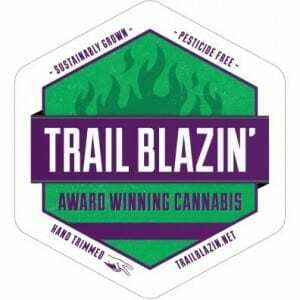 As a family-run business that started with a dream and lots of hard work, Trail Blazin’ is an excellent example of how ordinary Americans have done extraordinary things in the wake of cannabis legalization. By using low-energy LED lighting to reduce the carbon footprint of their indoor production facility and opting for pesticide-free growing practices, Trail Blazin’ takes a wholesome approach to cannabis farming and sets a good example for commercial growers everywhere. We recently had the opportunity to ask Danielle about how Trail Blazin’ got started, what it’s like growing a family business in such a fast-paced market, and what she thinks the future of legal cannabis looks like. Read the full interview below! Ganjapreneur: So, when was Trail Blazin’ Productions originally founded, and what was your role in its creation? Danielle Rosellison: We started Trail Blazin’ Productions in August 2013. At 8:07am on Nov 19th, we were the 13th people to apply for 502. We would have been first, but we had a question and called in as we didn’t want to make a mistake when applying. At that time, I was an investor while my husband and our business partner were the operating managers. Because I didn’t have a role in the day to day operations, I did what I could to help from the periferal, which means I got into more of the community relations aspect of things. That’s actually a BIG DEAL in this industry when there is so much misinformation about cannabis. 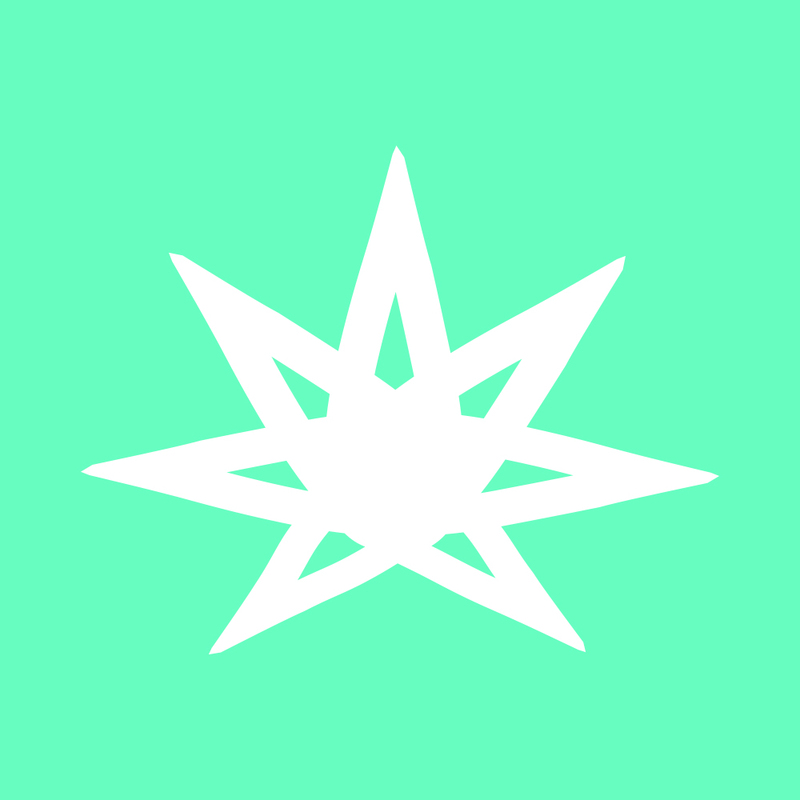 I found I could do the most help by being active in the community and showing people that cannabis business owners are just normal people too. In fact TODAY I was at a community function and someone posed the question to Director Garza from the LCB “I know what doctors look like. I know what lawyers look like. But I have no idea what a cannabis business person looks like. How do we find those people?” I (ever so discreetly) suggested that we stand up, as I knew there were about 20 of us in the room. The entire room clapped for us. The majority of the audience, though supportive of cannabis legalization, had no idea about the inner working of our industry or who we are. But I digress. On Nov 1st 2015 our business partner moved on to other endeavors, so I have been intimately involved with the day to day operations since then. So, my role has really progressed over time. However, it’s not like anything ever leaves my plate. We just keep adding more responsibility, while delegating anything and everything we can to the amazing people we work with and volunteers who selflessly offer themselves to the industry. What was your career before getting into the cannabis industry? I went to school for industrial engineering at Northwestern University, but through Clinton’s America Read’s program, I ended up working and volunteering in a public elementary school in Evanston, just north of Chicago. I was dumbfounded by the racial and income discrimination going on in our school systems, even in the 1990’s, that I decided to become a teacher. At the time there was no national teaching certificate so you needed to get your degree in the state you wanted to live in. So I moved back to WA where my family is and got my BA and teaching cert from Western. I knew I had my whole life to start a career, so I decided to bartend for a while instead (my mom was thrilled…not). While bar tending, I was approached by a patron to come work for him at a mortgage company. Now, you may not think so, but mortgages totally prepared me for the cannabis industry. First of all, I can document. EVERYTHING. Second, after the mortgage debacle of 2007, the government over regulated the real estate industry in the name of consumer safety. They made something like 56 laws in a year; laws that often made sense on paper, but when they came to fruition, the bad players found ways around them, the good players were burdened by over regulation and spent an inordinate amount of time and money trying to comply and the consumers, well, they just continued to get punished by paying higher prices. Sound familiar? What do you think is the best way for cannabis entrepreneurs to go about building positive relationships with the general business community in their area? Get involved. Join the Chamber of Commerce. Volunteer at your local charities. People in the community, who you wouldn’t normally hang out with, need to know who you are and see that you’re just a “normal” person. Be consistent at it too. Maybe it’s through your religious affiliation. Maybe it’s through causes that are important to you. But consistently get out there and be an upstanding member of the community. Oh, and your government representatives should be on speed dial. You should know who they are, and more importantly, they should know who you are. If they have a question about cannabis, you want them to contact you. If you don’t have the answer, they need to know that you have access to a reliable source to get them accurate information. What is it like running a family business in the cannabis industry? Well, it would have been a heck of a lot easier if we had set up our facility to have one office that is not part of our licensed premises!! That’s coming, but it’s not a priority yet. It takes a lot of support from your immediate circle. My mom helps a lot. A LOT! And my mother-in-law comes to town whenever she can. She also made us a cookbook with homemade meals that take less than 30 minutes to cook WITH a grocery list at the start of each week to cook said meals; it was my favorite Christmas gift. Things would be much easier if our kids could come to the office and just be in the same room with us. I just really think it would strengthen our family nucleus. However, we try to take one day a week to solely focus on our family (it usually involves fresh mountain air and skis in the Winter and paddle boarding at the lake in the Summer). We also make sure to tell the kids that they are the most important thing in our lives and someday, hopefully soon, we will be able to all spend two days a week, together, uninterrupted. And I absolutely LOVE working with my husband. He is way more level headed than I am, patient and an excellent boss. We compliment each other well. Trail Blazin’ Productions would be nothing without him. As we are driving all over the state making deliveries, can you imagine what it would do to our local hyper economies if we could bring our families? We could have a sleep over at Great Wolf Lodge if we were making deliveries in Kelso. We could visit the water park in Moses Lake or make a full camping trip out of it. We could visit the Everett Children’s Museum or Rainier National Park. We could spend the weekend in the San Juan Islands or on the peninsula. But instead, no one under 21 is allowed to be in the vehicle for deliveries, so you drop it off and turn around to get back to your family before day care ends or the babysitter falls asleep. I understand we want to protect our children from bad things , but my children would benefit from spending more time with their family and having weekends in random parts of the state. The small, local economies would benefit too. I’m just saying…. What are some of the steps that Trail Blazin’ takes to conserve energy and reduce your overall carbon footprint? We are an all LED facility which cut our power consumption by over half. By switching to LED’s, we save enough energy to power 60 residential homes a year! And we got a really big check from Puget Sound Energy. I mean really big. Like Price is Right big. Using LED’s also cuts down on how hot the rooms are, so we use less nutrients, less water and less air conditioning. We are also a pesticide free facility because we believe that chemical pesticides are not good for our bodies, our air, our water or our planet. While we have devised a system so that we can avoid using any pesticides on our products, we encourage the use of alternative methods, such as “organic” or OMRI listed pesticides, for those growers who going “pesticide free” is too far a jump. It’s so much more than just about us. It’s about the whole system, how we are all interconnected. We have to set an example and move away from this mass production way of farming and consumption that the US has moved towards over the last few decades. The cannabis industry is uniquely positioned to be the leader in sustainable growing procedures if we, the businesses, and, more importantly, you, the consumers, demand we move towards that direction. What do you think the future of cannabis cultivation looks like in Washington State? I can see all cultivation being moved to LED, greenhouse or sungrown. I just can’t see how HPS is sustainable on a mass production level. Now, before anyone gets all up in a tizzy, I’m not looking to annihilate HPS lighting options. I’m just trying to figure out, mathematically, how it is sustainable. I feel like some education, and advancement in technology, would go a long way to make indoor growing more environmentally friendly. I believe that the people in the cannabis industry who were part of the cannabis community since before it was legal share these same values of sustainability, as do the millenials and Whole Foods shoppers, and would be willing to make adjustments to their growing operations if there was enough research and education to support the transition. It’s coming. What do you think the future of cannabis indsutry looks like in Washington State, and later around the globe? I’m a serial optimist, butterflies and rainbows all the way, so in my world, the entire cannabis industry sets the stage for how corporations are run in the future. As an industry, we set the standard of have no glass ceiling; we pay everyone the same based on accomplishments, not on skin color or gender. As an industry, we work with our government and prison system to help end racism. We are all B Corporations, prioritizing our communities and people BEFORE profits. We encourage people to step away from outdated, antiquated ways and look at the world with new eyes; a new perspective. We stop putting bandaids on problems, like the War on Drugs, and instead look at the root of the issue. And it all starts right here in WA!! Thank you Danielle for sharing your experience an insights! We look forward to seeing Trail Blazin’s progress as Washington’s market continues to grow. To learn more about Trail Blazin’ Productions, you can visit their website. Questions or comments? Post them below!